In Genesis 1:29, God gave Adam and Eve "every seed-bearing plant all over the earth and every tree that has seed-bearing fruit" to be their food. Our bodies were designed for plant-based foods - that's one of the reasons I've decided to try veganism, a diet without animal products. I'm excited to announce that for at least one week I will be vegan and will document and share my journey with you! I made a big bowl of tabouli on Sunday night and popped it in the refrigerator for the week to come. 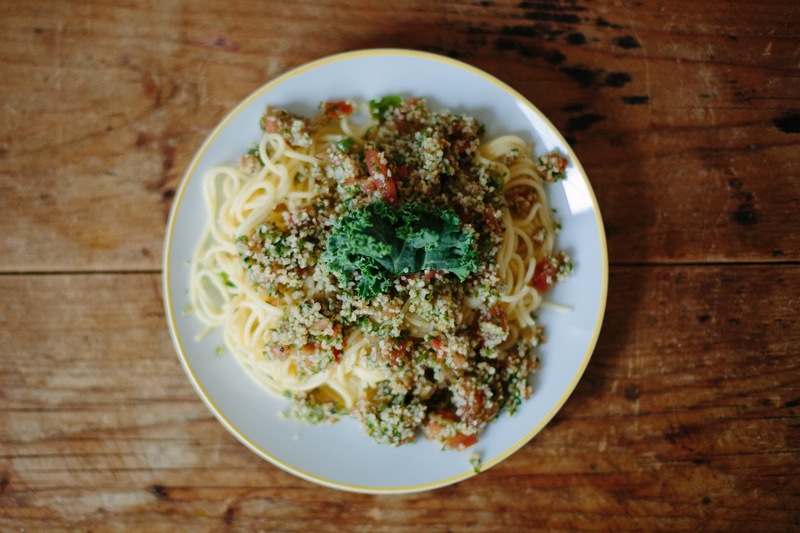 On Monday I topped my refrigerated tabouli on steaming spaghetti noodles. 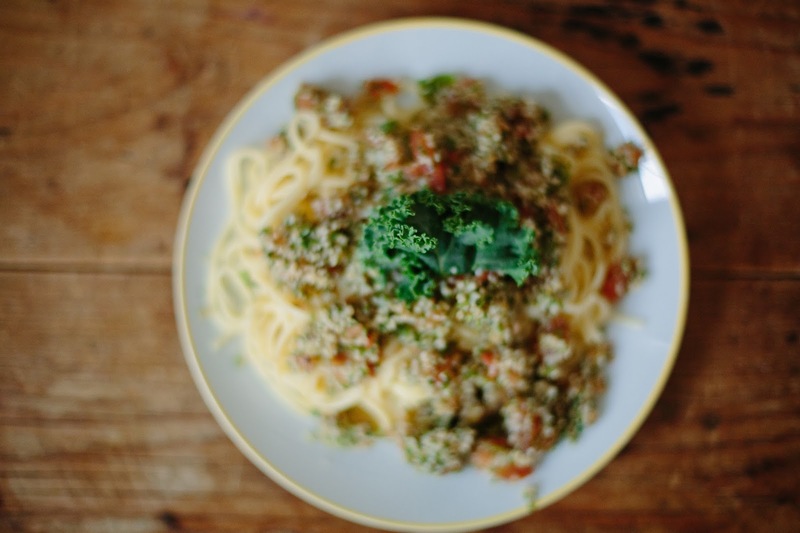 Quite possibly the most refreshing and delicious spaghetti I have ever had, Tabolui-topped-spaghetti is a tantalising and fresh spring or summer lunch! Place bulgur in a large mixing bowl. Cover with boiling water and let stand 5 to 10 minutes, then fluff grains with a wooden spoon. Add onions, parsley, mint, and tomatoes to the bulgar and mix. Add the rest of the ingredients one at a time, mixing well. Refrigerate and toss before serving. NUTRITION: Parsley is an excellent source of iron; the Vitamin C in lemon juice heightens the absorption of iron. Olive oil is great for your skin and an excellent source of Vitamin E, A, and essential fatty acids (Omega 3 and 6). Interesting idea about how we were made to eat greens. The Bible is perfect to help us even in today's living. So that rocks that you are going vegan! I might want to try that too. At least get into more greens! Um, YUM. I love spaghetti - any pasta, really - so I definitely want to try this! This really looks delicious. I really love spaghetti and this is the best one I've seen so far. Great post, dear. 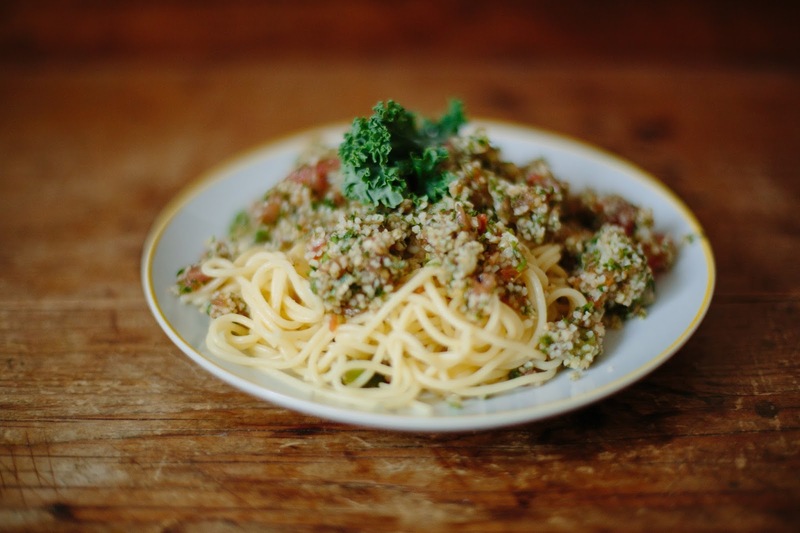 I love Spaghetti Tabouli. Thanks for putting this up, dear.